You are at:Home»Lex Pedia»Lex Articles»Are Men & Women really placed on equal footage in our society? Are Men & Women really placed on equal footage in our society? Well, this is the question which is revolving in my mind constantly from the day I heard about the famous celebrity Jiah khan suicide. She was an aspiring actress & had achieved great success in the starting years of her career. On her personal life note, she had been in love with the star kid Sooraj Pancholi & according to the sources she was also in live in relationship with her boyfriend. 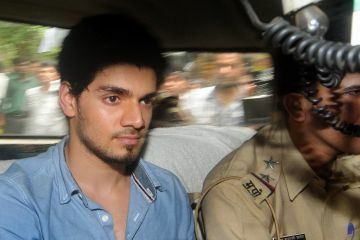 Sooraj Pancholi who is now being claimed as an abettor in Jiah khan suicide case. Jiah somehow indirectly blames sooraj in her six letter note for her abortion, for not fulfilling his promises to marry her & for giving her deep pains. Now my question is that whether the above reasons really satisfactory to put that star-kid in jail. Is he really an abettor? Even, Jiah was mature enough to take some contraception in order to avoid her abortion. Is the duty wholly lies on the boy? She did everything with her free mutual consent so why she is blaming him for her abortion. She blamed him for not fulfilling his promises to marry her. But is this really an adequate reason for a girl to commit suicide. However, the scenario would be altogether different where a boy commits suicide due to the denial of the girl to marry him. I have not heard any case where the girl is being put behind bars for abetting such a suicide. We have the concept of “right to equality” enshrined in article 15 of our constitution. But do we really achieve it? The answer would be a straight away “no”. I just want to urge that we should see men & women from one eye instead of sympathizing with one gender & letting the other gender suffer. Justice should be done fairly from both the sides because then only we can achieve equality in the society. Previous ArticleCan right to beg be read under Article 19(1)(a)?